If you’re a junior creative aged under 30, don’t miss your chance to take part in the 2019 New Stars competition, which runs during Ad Stars 2019 in the beachside city of Busan, South Korea in August. The New Stars Competition is an opportunity for young creatives to travel to South Korea to learn about the craft of advertising from leading executives. It’s also a chance to experience first-hand the technology and trends that are emerging in North Asia and influencing the world. The program runs over four nights from August 21st to 24th 2019 in the beachside city of Busan, which is one of Asia’s most vibrant creative hubs, home to the Busan International Film Festival. Applications open today (1st April) and close on May 31st 2019. Brett Macfarlane, director at EVRY Strategic Design Lab at Method, London, was one of five New Star judges at AD STARS 2018. In 2018, 40 teams from all over the world enjoyed a series of workshops and lectures before racing to respond to a brief to drive sales for Panasonic. With 24 hours to meet the deadline, the New Stars AD Competition gives young creatives the chance to hone their talents with a brief for a real client. Last year, a team from Hungary won the New Stars competition: Dániel Trencsényi from DDB Budapest and Rita Eperjesi from Isobar Budapest. For your chance to be a New Star, apply before 31st May via www.ADSTARS.org or contact info@adstars.org. The New Stars competition is open to anyone with less than three years’ industry experience, or who is aged under-30. The registration fee is 1,000,000 KRW (approx. US$780) per person, but covers all accommodation, meals, parties, as well as tickets to Ad Stars 2019 – a three day festival of creativity and technological innovation that runs from August 22nd to 24th 2019. Ad Stars is also recruiting university students to compete in the 2019 Young Stars Ad Competition. The Young Stars Competition is an opportunity for university students from around the world to come to South Korea to experience what it is like to work in the advertising industry while learning from industry executives through a series of workshops and lectures. You may prefer to participate in the competition as a team of two or three, or apply as an individual. Apply before 23rd May via the ‘Competition’ tab on ADSTARS.org or contact zannylee@adstars.org. Accommodation, meals, networking party and Ad Stars tickets will be provided by Ad Stars, with a registration fee of 300,000 KRW (USD$300) per person for successful applicants. 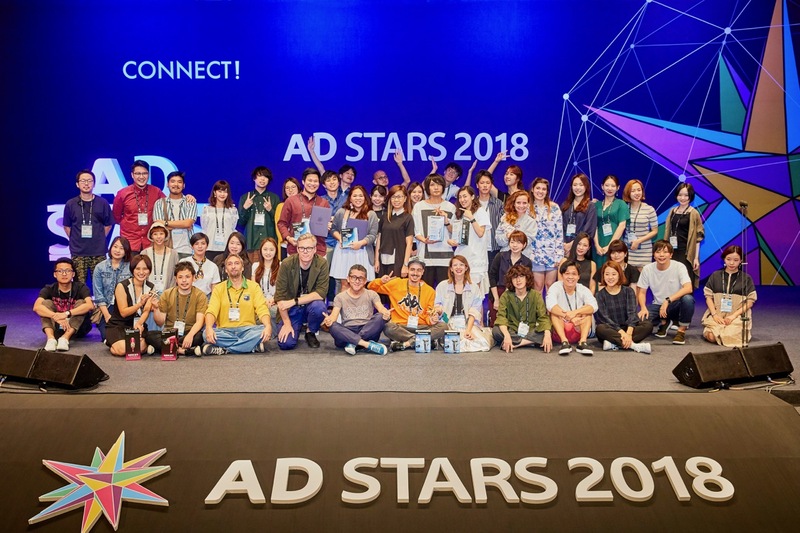 Ad Stars 2019 takes place at the Busan Exhibition and Convention Centre (Bexco), South Korea. For more information, visit ADSTARS.org. After years of free entries for agencies, this show is now finally asking for money but from the young ones?